Even after nearly 60 years, it still looks like the turning point – my baptism into Christ. While we lived on Grand Avenue, Rodney Reyman knocked at our door to invite us to the Church of Christ on Fig Street. We went. The preacher was Dave DeWelt. He had a speech impediment and really didn't communicate well with his audience, at least not with me. But I was interested in hearing the smiley red-headed guy preach, so we returned after the revival meeting was past and Dave DeWelt was gone. It took. 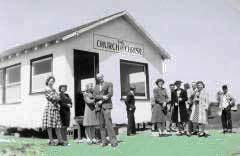 The Fig Street Church in Del Paso Heights had been established by Rodney Reyman several years before this. 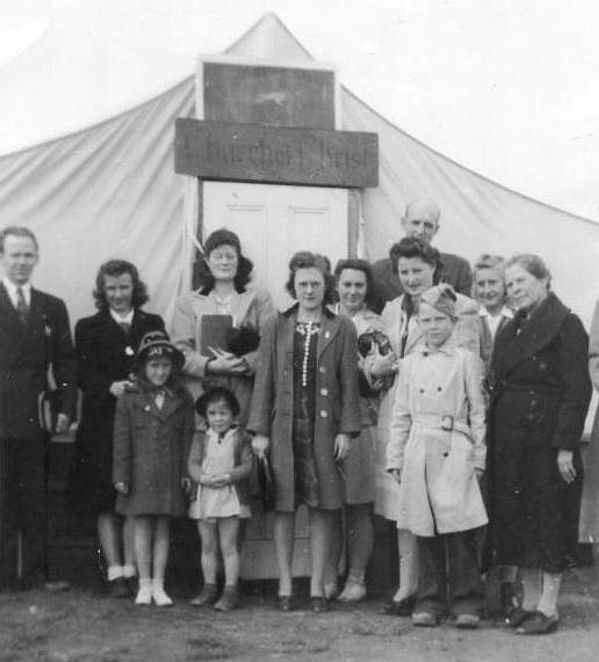 The group had met in a tent, then purchased an old shoe store and had it moved to the property. The shoe man was a Seventh Day Adventist and had this sign on the pull-down shade, "Closed Saturday, Open Sunday." The sign was left in place because it accurately described the new use of the building. Mother Dailey and I began to attend regularly. This made sense to me. During a protracted meeting by Orlin L. Mankamyer, I decided to be immersed into Christ. Mother Dailey objected, pointing out that I had been immersed at the First Christian Church at 27th and N Street when I was a few years younger. 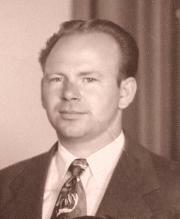 Edwin Thomas Cornelius was the minister. But the problem was that I did not know why I was immersed and Scripture is clear that our understanding needs to be involved. So I was immersed by Rodney Reyman at the confluence of the Sacramento and American Rivers on August 17, 1947. Mother Dailey dropped her objection and was immersed the same night following the evening services. It was not convenient, but convenience has a very low priority when eternity is involved. We visited the scene in 2002. Our grandchildren are on the boat ramp, but there was no boat ramp there in 1947. There are additional photos of the Reyman family on this link. I owe so much to those who corrected my notions about the truths of God. May God grant them extra rewards. During these years, I held several jobs. My first was working at Everett's Radio Repair Shop in Sacramento. Following that, I worked in a newer shop in Del Paso Heights. It was much closer to home. I recall a stint working evenings in a Texaco station near our house. 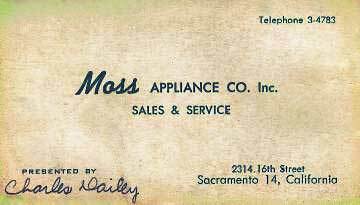 Also during these years, I was hired as an outside salesman by John E. Moss of Moss Appliances. John went on to become Congressman John Moss and served his district in Washington D.C. for 26 years. I learned a quick lesson on that job. One of the first days working there, I sold a refrigerator to an acquaintance and pocketed a comfortable week's wages. I took off the rest of the week because it was so easy to make money. But things were't so good the following weeks. The lesson is to work during both good times and bad. It's the average that pays the bills.